Only accepted summit attendees may register for this event. Congratulations on your acceptance to the 2019 Keystones Summit! As mentioned, there is a $150 event fee for attending the Summit due no later than May 15, 2019. Payment must be made in order to finalize your Summit invitation. You only need to complete this registration form if you are paying by credit card. If you are paying by purchase order or check, please refer to your email for instructions. Be sure to save your receipt if you are being reimbursed! All payments must be received by May 15, 2019. Submit early to allow enough time for your payment to be received. Thank you! Join PAECT for some sharing of ideas, food, and beverages. In this FREE Professional Development seminar. General and special education teachers will gain knowledge, skills, and experiences to be able to utilize educational technology in their classrooms with high levels of mastery. 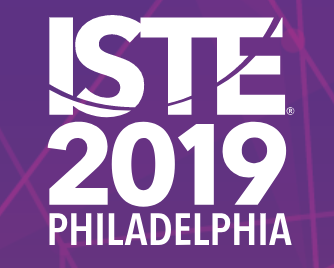 Topics such as video tutorials, iPad Applications, Google Suite, and Promethean will be covered throughout this session. Educators will be equipped with highly-effective digital tools that will not only provide them with multiple methods of differentiation never learned before but also ways to deliver formative/summative assessments, data collection programs, and collaboration strategies to quickly change classrooms into student-centered environments. All submissions are due no later than Friday, April 5th, 2019. We are looking for SCPAECT & SEPAECT members to submit a proposal to present at Millersville University on Sat., April 27th. This event will take place from 10-12. We are offering this event to pre-service educators. We want to ignite a spark of curiosity, innovation, creativity, and passion in future educators! Also, we want to encourage our student chapter of PAECT. You can sign up for this free event by clicking here. Just choose which location you will be attending. As your school or district makes the transition to digital learning, it's important to identify and support students who may have difficulty accessing digital devices and/or the Internet when they leave school grounds. In this webinar, we’ll discuss innovative strategies as highlighted in the Consortium for School Networking’s Digital Equity Toolkit to address the needs of students who may lack access to sufficient technology as well as the Internet once they get home. Susan Bearden, CETL is the Chief Innovation Officer of the Consortium for School Networking. A former school technology leader, she served as a Senior Fellow in the Office of Educational Technology at the U.S. Department of Education from 2016-2017, where she led the 2017 update of the U.S. Department of Education’s K12 technology infrastructure guide, Building Technology Infrastructure for Learning. She provides project management support to Google’s Rolling Study Halls project and frequently presents about digital equity. She is the former project director of CoSN’s Digital Equity initiative and led the 2018 update of their Digital Equity Toolkit . Dr. Beth Holland is a post-doctoral research fellow at the University of Rhode Island as well as the Digital Equity Project Director for the Consortium for School Networking (CoSN). Over the past 20 years, she has taught in K-12 classrooms, served as Director of Academic Technology in a PS-8 independent school, designed professional learning programs for schools around the world, and leadership programs to support systemic change. Additionally, she is also a prolific writer, researcher, and speaker. Dr. Holland holds an Education Doctorate (EdD) in Entrepreneurial Leadership in Education from Johns Hopkins University, a Master's degree (EdM) in Technology, Innovation, and Education from Harvard University, as well as a Bachelor of Science (B.S.) degree in Communications from Northwestern University. Join us for a Zoom Webinar with PAECT Grant Award Winner, Jeffrey Wile! Jeffrey will share his experiences using the grant materials funded by PAECT, Raspberry Pi kits with his classroom. This is open to all members. 11 Oct 2018 NorthWest Dinnner Meeting at Cannon's Chop House in Meadville. 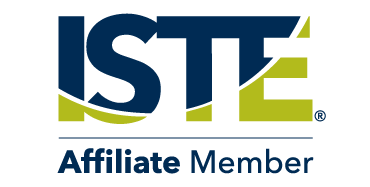 12 Oct 2017 ISTE Standards For Students: What Does That Look Like For Our Learners? 23 Mar 2017 2017 KTI Summit - Online Payment Only - Only accepted summit attendees may register for this event. 27 Feb 2017 2017 Mid-Atlantic Conference on Personalized Learning (MACPL) "Innovating Education For All Learners"
25 Jul 2016 KTI Summit - Online Payment Only - Only accepted summit attendees may register for this event.